I think everyone noticed that in Linux 7 network interface name has been changed from eth[0,1..] to ens. But in some organization they what to use eth as a standard network interface name. In this article we will explain how to can change the network interface name. First we need to edit grub configuration file to append some parameters. GRUB_CMDLINE_LINUX="rd.lvm.lv=centos/root rd.lvm.lv=centos/swap rhgb quiet net.ifnames=0 biosdevname=0"
After implementing the changes in grub configuration file we need to rebuilt the grub configuration file so the changes will reflect. 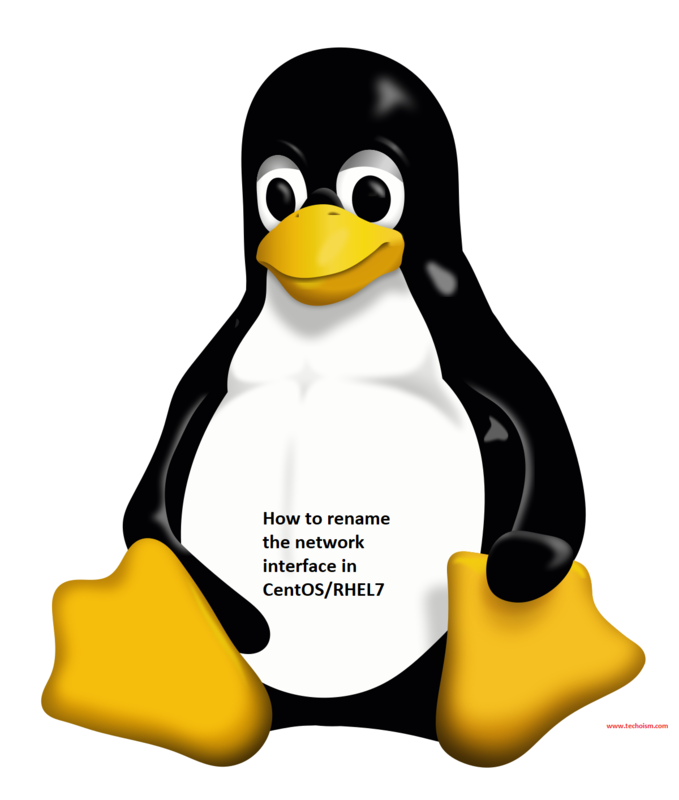 Copy or move the network configuration file from ens to eth and change the Device and Name parameter in network file. After completing all the above steps reboot the server to reflect the changes.